This program was developed for nurses entering or contemplating entering the school nursing specialty. 1. Describe the educational role of a school nurse. 2. Understand the need for checking with state laws and guidelines regarding school nursing practice. Kathy received a BA in Biology, then her Bachelor of Science in Nursing from Boston University. 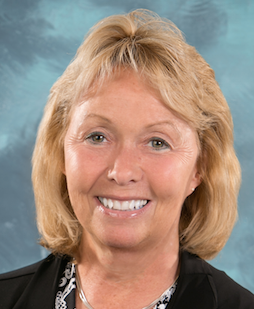 She has been a Registered Nurse for 34 years and has worked at Mount Auburn Hospital and Deaconess Waltham Hospital. While raising her 4 children (who are now 26, 27, 28 and 29) she moved into school health in 1999 as the Director of Health Services for the Hudson Public School system until 2005. She received her Master’s in Education in 2001. Kathy was the Director of the NEU School Health Institute at Northeastern University and is now the Director of the School Health Academy, providing conferences and continuing education for School Nurses. She has taught graduate courses such as “Legal and Ethical Issues in School Nursing” and “Leadership Skills for School Nurses” since 2003 and presently teaches Leadership in School Health for Cambridge College and Leadership Skills in School and Community Health and Health Impacts on Academics for Canisius College. She was President of the Massachusetts School Nurse Organization (MSNO) 2007-2009 and is was the MSNO NASN Director for Massachusetts (2014-2016) and served on the NASN Executive Committee. Kathy is now in a 3 year DNP program at Northeastern University. The planners of this educational activity have no conflict of interest to declare. The speaker has no conflict of interest to declare. Northeastern University School of Nursing is accredited as a Provider of continuing nurse education by the American Nurses Credentialing Center’s Commission on accreditation. Participants successfully completing this program will receive a statement of credit for contact hours. Statements of contact hours may be printed on-line after successful completion of the learning assessment and evaluation.